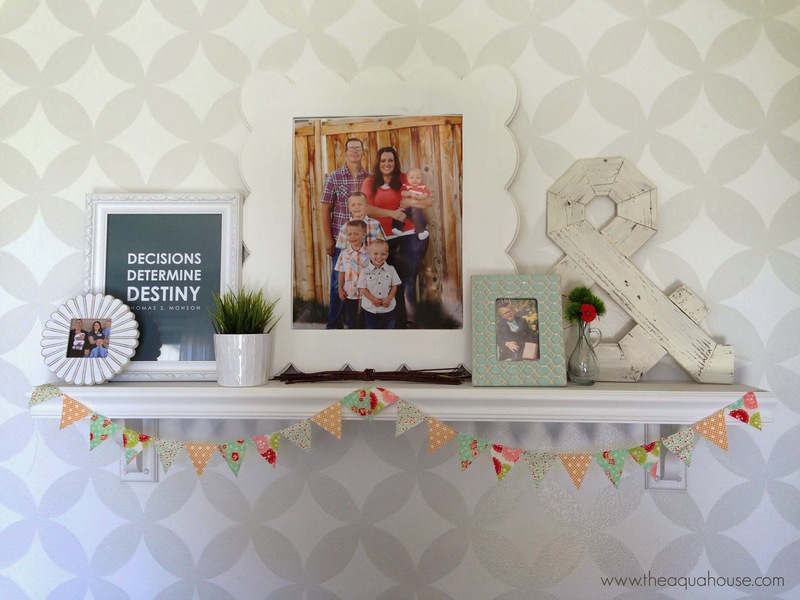 I know this tutorial has been long awaited by some of you, especially those of you who've seen my wall on Instagram or on my Faux Mantle post. This tutorial was almost as laborious to write as it was to paint this wall! I have to give a big shout out to my wonderful husband for his help on this project...he's the best! So, without further ado, here it is. 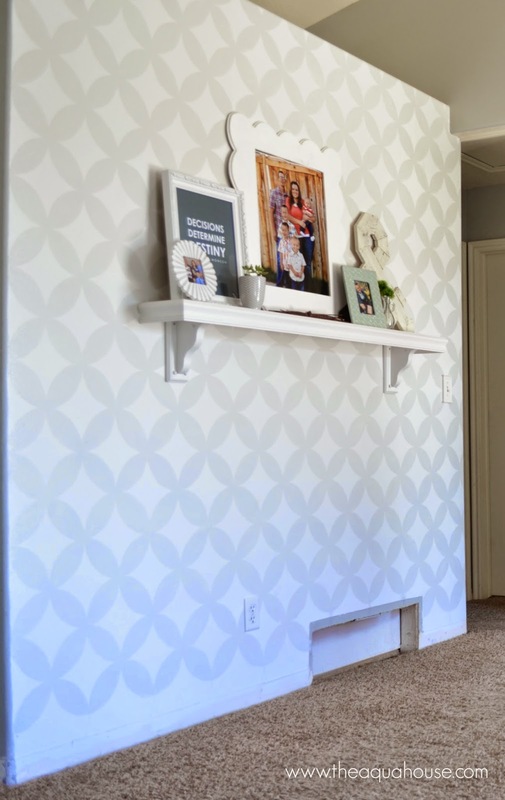 For the longest time I have wanted to do a stenciled wall in my house, but haven't wanted to fork over $50-$60 for a stencil. 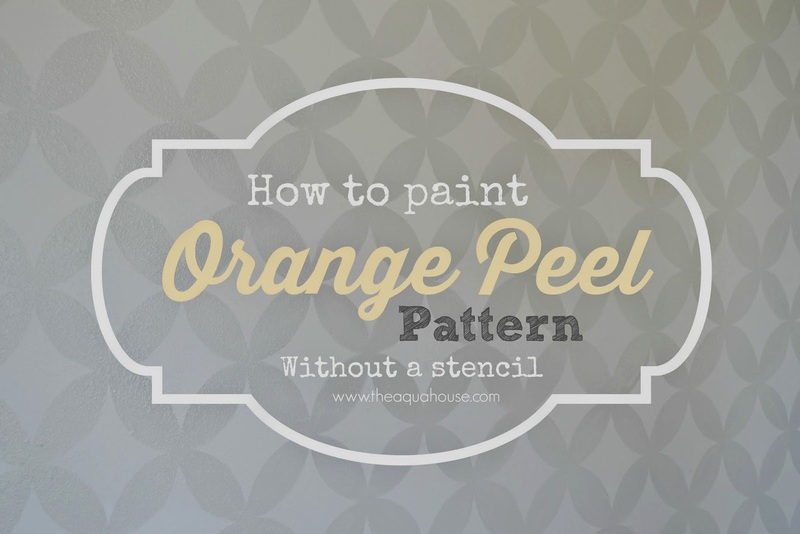 That's when I came up with the idea for this Orange Peel pattern wall. It adds the perfect amount of pattern to your room. It will definitely make that feature wall pop. To start out, you will need to prep your wall. This will either mean giving it a good scrub down or a fresh coat of paint. 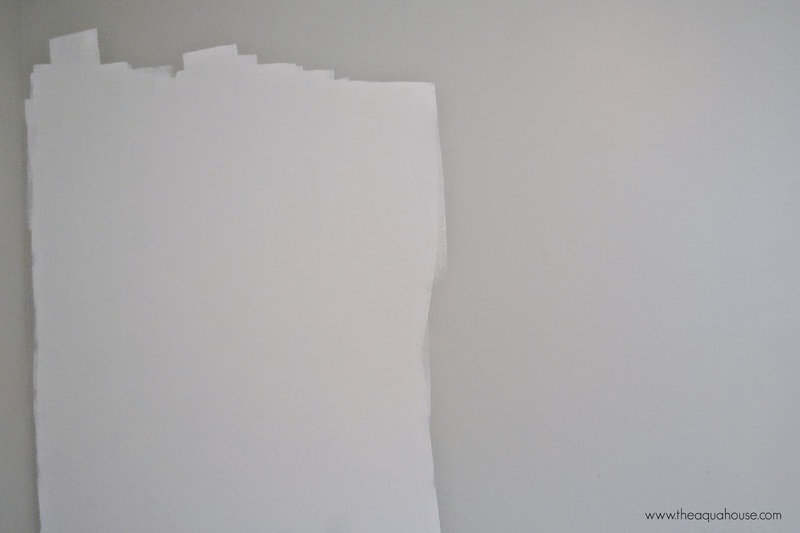 I gave my wall a new coat of white paint to make sure it looked clean and crisp. 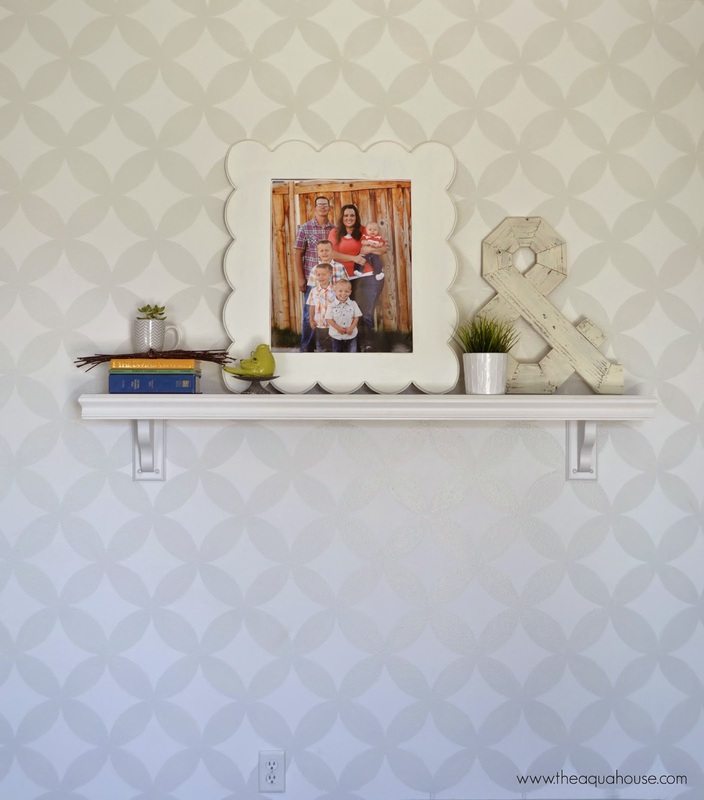 You will need to tape off the ceiling, side walls, and baseboard. Next you will need to grab a large dinner plate (mine measured 10 1/4 inches across...yours may vary). 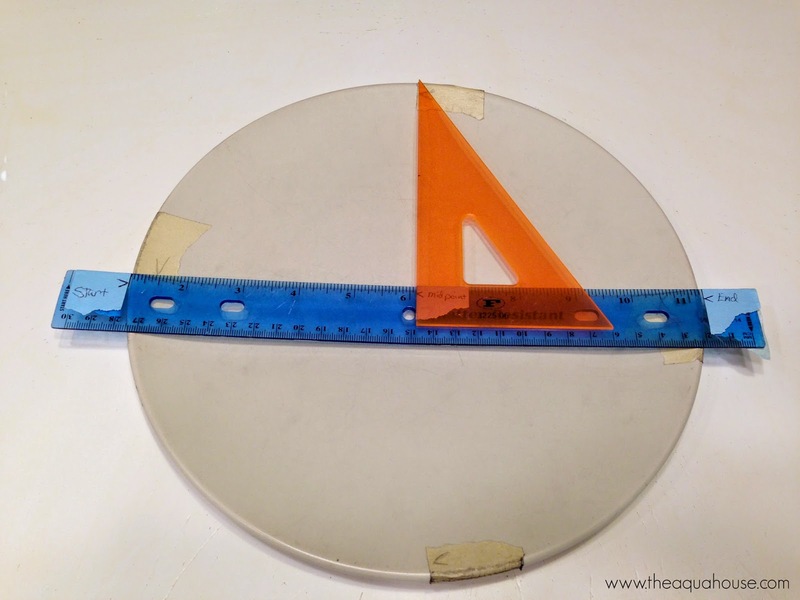 Take the dinner plate and place a piece of tape anywhere on its edge. Next, mark one edge of the tape with a pen and measure from this mark across the plate. You may need to move the tape measure around until you find the farthest away point on the opposite side of the plate. Place the edge of a second piece of tape on this mark. Next, grab your straight edge. On your straight edge, mark your plate's diameter and the mid-point of the diameter. Place the plate on a solid surface and line the marks on the straight edge up with the pieces of tape on your plate. Now take your 90 degree triangle and hold it against the straight edge on the plate so its 90 degree side lines up with your midpoint on the straight edge. Mark the plate where the triangle crosses its edge. Add a third piece of tape at this point. Repeat on the other side of the plate until you have four pieces of tape on your plate equidistant from each other. 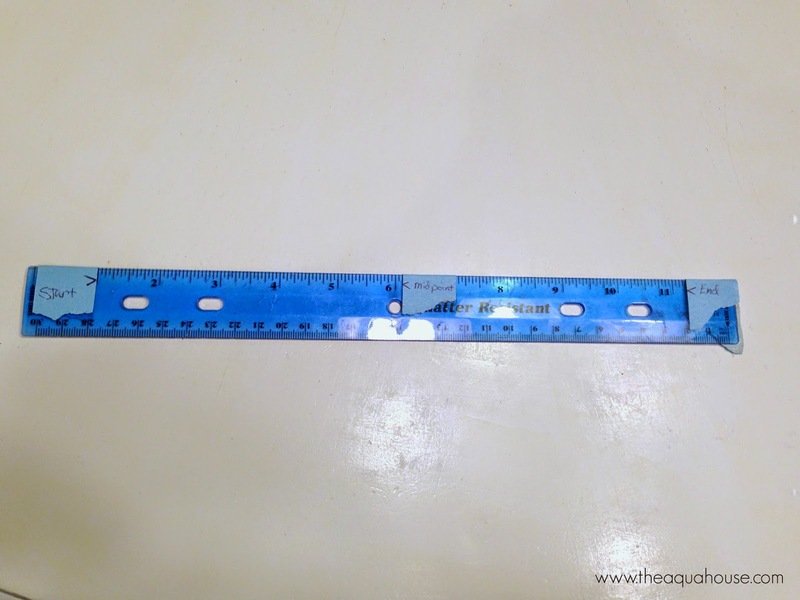 These marks will come in super handy as you try to keep your pattern lined up. You will also need to take your plate and trace it onto cardboard. 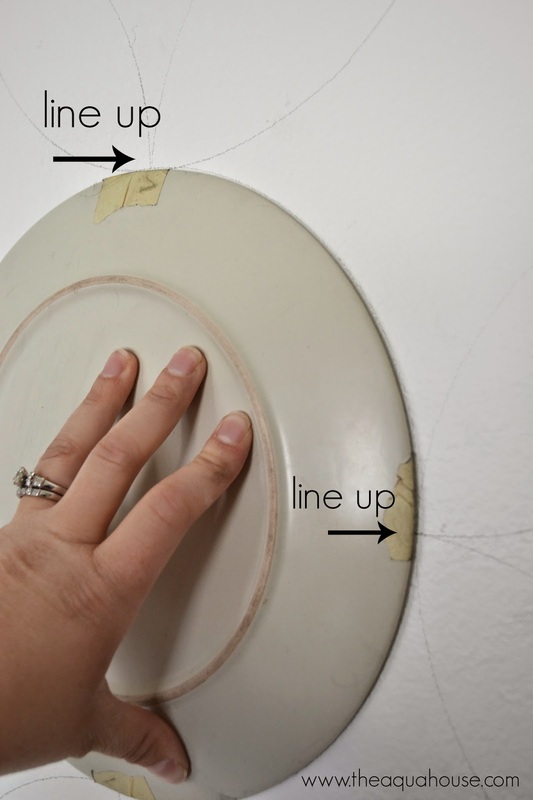 This will serve as a template you can cut down so you can start and finish your pattern against walls. 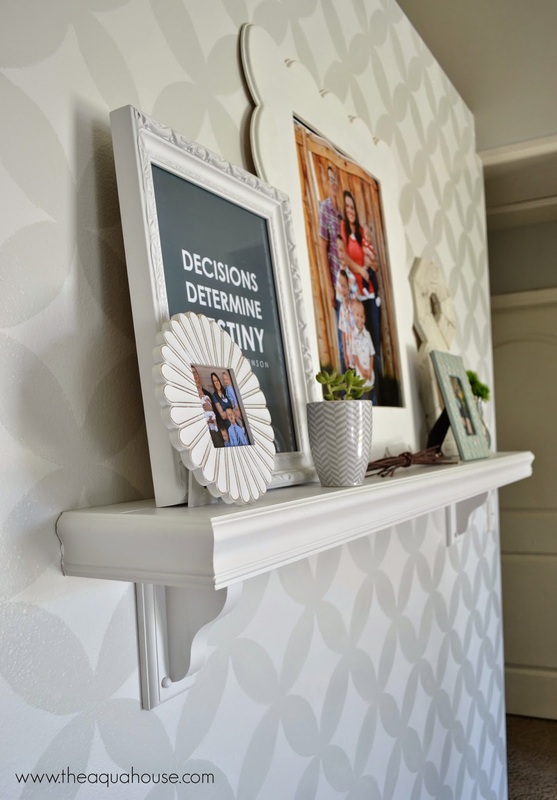 Depending on your wall's dimensions you may need to cut down your template to different sizes...which means you may need more than one template. We are going to trace our pattern bottom up and starting against a wall. 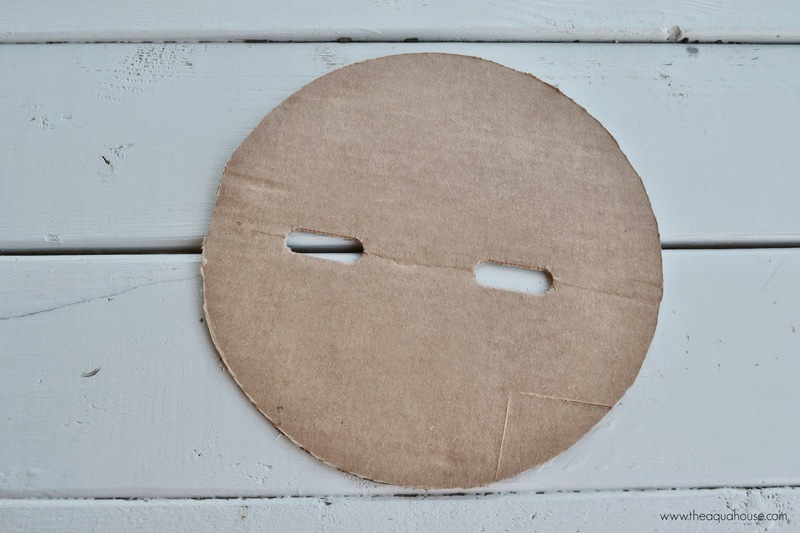 To start out, you will need to use a half circle against the wall, and you will get this half circle by cutting the cardboard circle in two. 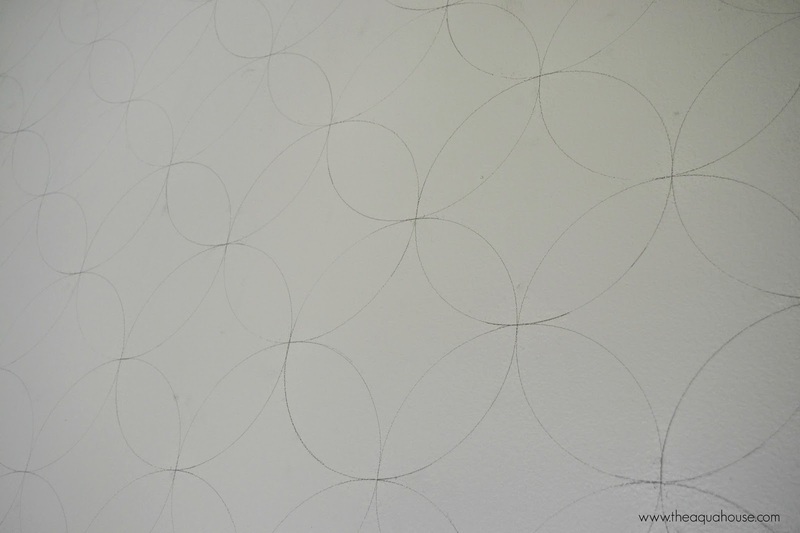 Starting at the bottom, and against one side of the wall, trace half circles all the way up to the ceiling. 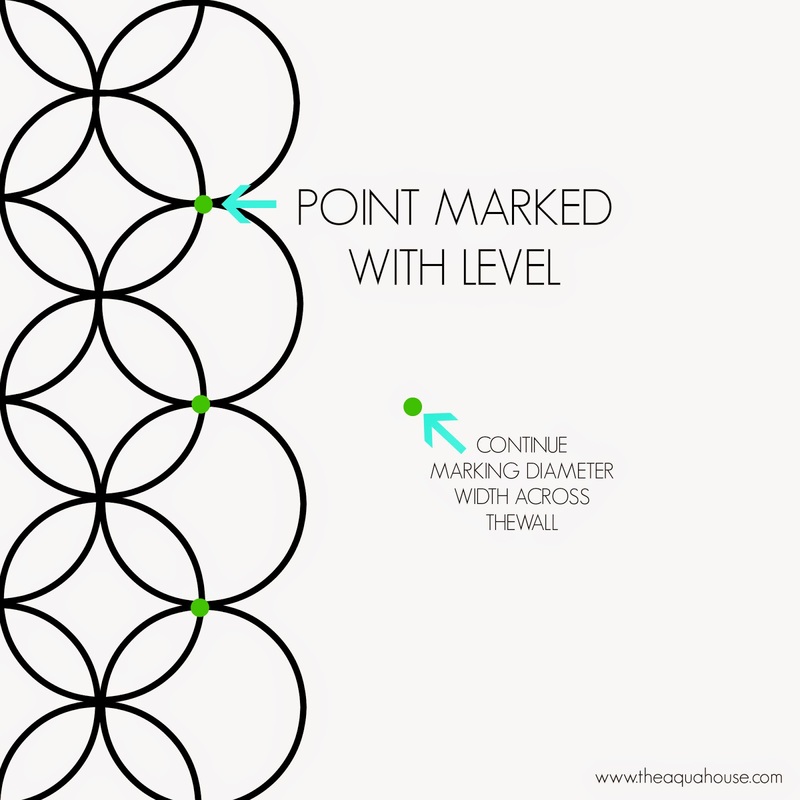 Come back down to the bottom of the wall, and using your level, mark a point one diameter's width out from the intersection of the two half circles. This will make sure your pattern stays level as you move across the wall. 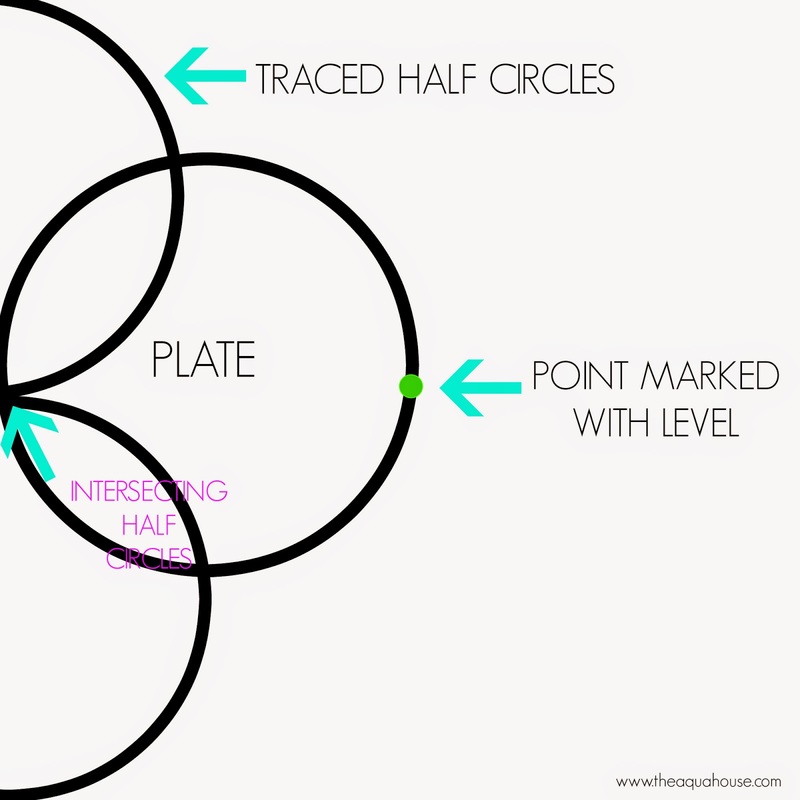 Line the tape marks on your plate up with the intersection of the two half circles and the new point you have marked and trace the plate. You will continue this pattern bottom up until your wall looks like this. Next comes painting. You will paint everywhere your circles overlap. 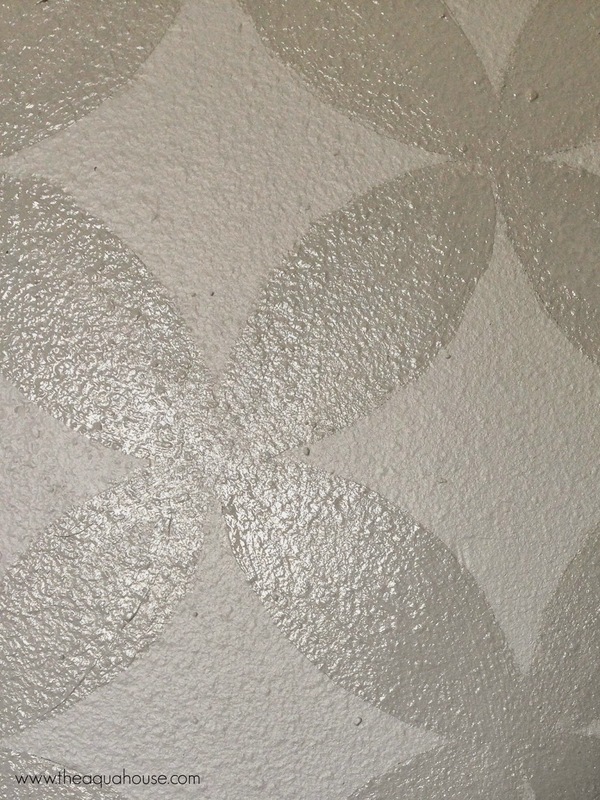 I used a semi-gloss paint to make my pattern pop against the satin sheen background paint. The painting takes a long time, but I definitely think that the end result is worth all the hard work. Oh, and excuse the missing trim and gaping hole...I'll be back soon with a tutorial on how to make your own custom air intake grates! Sara, I love it! That wall looks so awesome.